So it is nice and sunny and warm, a beautiful weekend. 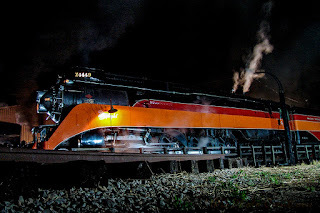 My image today goes back to a summer evening in Owosso, Michigan when we went to a Steamfest and got to ride behind this beautiful locomotive. This was the night before at a photo-shoot opportunity. 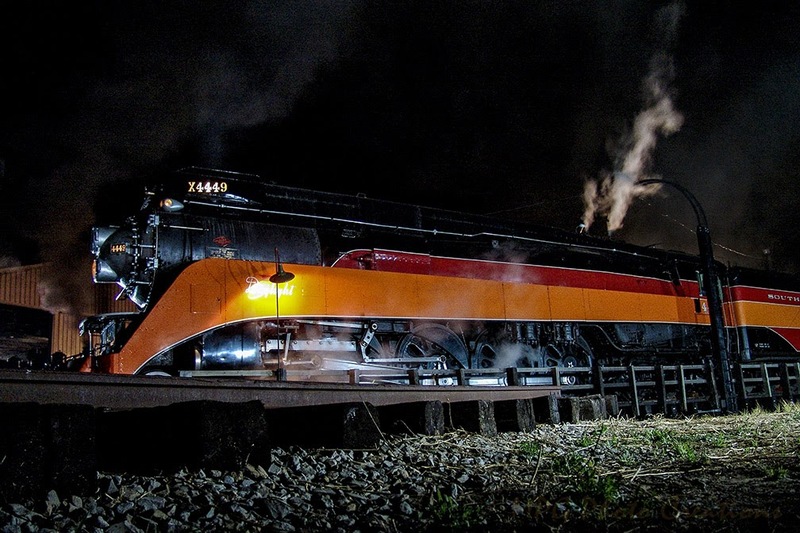 The Southern Pacific 4449 Daylight locomotive was positioned on the turntable for photos. It's such a lovely streamlined locomotive and beautifully colored I think. It's passenger cars were colored in the same style making it a lovely train in it's day quite different from the usual black locomotives and duller colored passenger cars.